Hair braid is really a life saver! There are days when we feel too lazy to iron, curl or style our hair..but we don't want to go out looking like a total mess, do we? 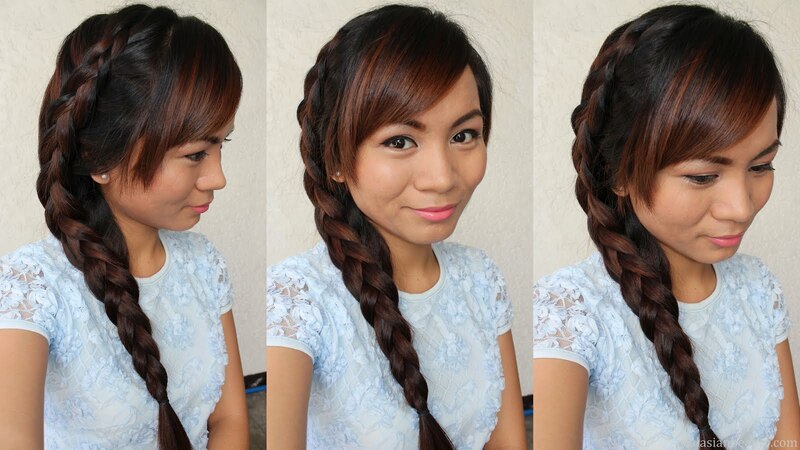 So, the quick fix to that is hair braid! I haven't done a hair tutorial in a long time. So, I was really excited to share this to all of you. It's called Side Dutch Braid. Dutch braid is much like the french braid, except that you cross the strands under the braid, and this is usually done with three strands. I like how hair braids can dramatically transform a bad hair day in to a fab look without having to exert too much effort. This hairstyle is also similar with Katniss Everdeen's hairstyle from the Hunger Games. Only I did mine on the side rather than having it across the head. It is similar but I didn't totally get the style from her because I've been doing this hairstyle ever since college and that was in 2002. Do you like this hairstyle? Watch more videos on our YouTube channel.